Registration is now open for Landscapes 2016. 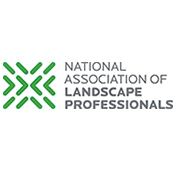 Landscapes, an educational event held in conjunction with GIE+EXPO and Hardscapes North America (HNA), is hosted by the National Association of Landscape Professionals (NALP). This year’s convention will feature more than 40 sessions, presented in six different learning formats, including town hall meetings, deep-dive workshops, lightning-round sessions, facilitated roundtable discussions and power sessions. NALP members can also schedule one-on-one 75-minute business consultations with leading business owners who are part of the association’s Trailblazer program. New this year, instead of one keynote session to open the conference, there will be three “power sessions” each morning. Education will be delivered in six tracks this year including: leadership, business management, operations, human resources, sales and marketing, and safety and technical. Landscapes registration also includes registration to GIE+EXPO. Landscapes 2016 is approved for Landscape Industry Certified recertification at 1 CEU per hour of instruction attended. Professional Grounds Management Society (PGMS) and HNA educational programs also qualify toward recertification.